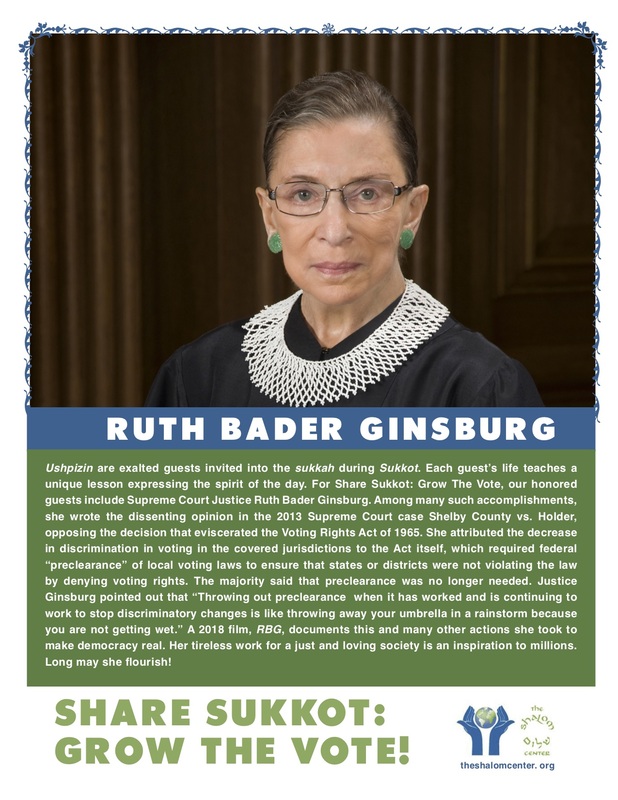 These ushpizin posters have been brilliantly designed and written by Arlene Goldbard, president of The Shalom Center. 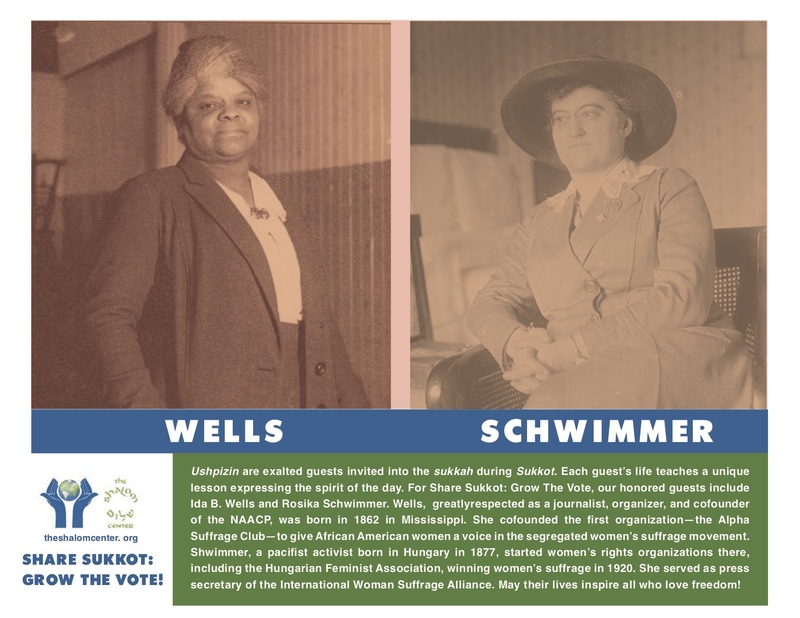 When you click to see them, you can download them, print on your own poster-paper, and, if you like, laminate them to hang up in your sukkah. “Retail” voter registration (i.e., you in front of the local market with a clipboard and forms) is time-consuming and not that productive. You might focus on “wholesale” strategies such as fully and effectively implementing the Motor Voter Act, working with social service agencies to register their clients as promoted by Nonprofit Vote, and engaging youth-oriented groups to register new voters. Contribute to the Shalom Center and help this work thrive.